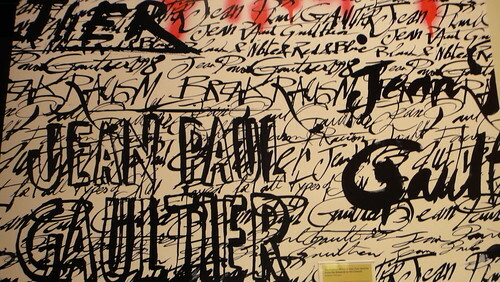 When Ken Fulk Design contacted us to add some graffiti funk to their event, we were ecstatic. 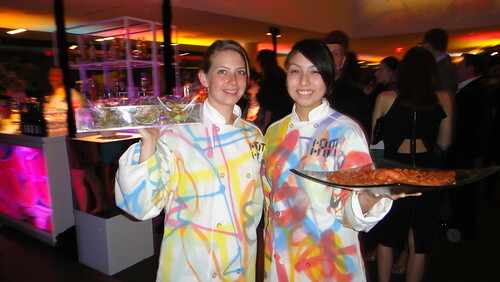 They wanted us to paint on waiter jackets, wedding dresses and sailor suits for “Le Grande Fete”, the opening of Jean Paul Gaultier’s exhibition at de Young Museum. With a very short timeline (we had less than a week to complete 70 garments), our team pulled together and delivered. 1AM most definitely made its mark on the biggest party of the year… we were seen everywhere. The opening party was off the chain. DJ88 spun the tunes, McCalls catering served up the libations and food, and the Extra Action Marching Band made the crowd go wild… and freaked them out as well. All in all, we were in good company. Oh, and the actual exhibition? AMAZING. The best de Young exhibit we have ever seen. They were able to achieve what many exhibitions are unable to do. 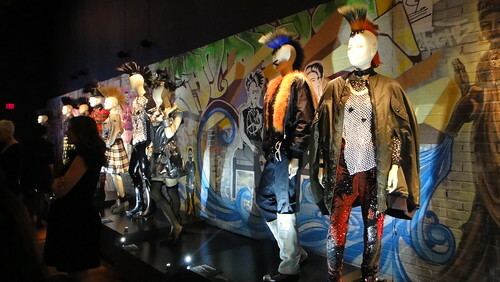 They made Jean Paul Gaultier’s work come alive.